As summer comes to a close, we’re preparing our children for school. Back to school can mean gathering school supplies, dreaming of fun times, and perhaps some new clothes and a dresser or chest of drawers to put them in. Usually, we think of interior design in relation to adults, but there’s a direct connection between interior design and safety for children. 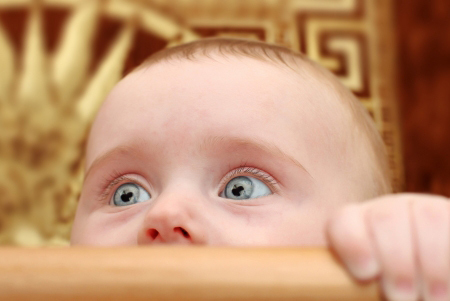 Over the last year, the public became aware of the dangers of children climbing on chests of drawers. This isn’t new: children love to invent new games. I recall my brothers and sisters doing exactly the same thing – taking risks by using our bedroom furniture as a ladder. Hilarious fun was had exploring each others’ bedrooms on a rainy day, especially when there was an addition of a twin mattress to the room. Amidst all the giggles and roaring laughter, our parents wouldn’t have believed we were climbing on the furniture and swinging on the doors with feet firmly planted on the door handles! Yikes! While there isn’t a federal standard, ASTM, an American trade organization, has taken the lead by developing voluntary testing and standards for children’s furniture. I think this is incredibly responsible. Chests of drawers or cabinets taller than 26 inches shouldn’t tip over when all of the drawers are fully open; and the empty furniture shouldn’t tip over when a 50 lb weight is hung from each fully open drawer with only one drawer open at a time. Should the product fail the test, manufacturers actually add weight to the lower section of the chest for greater stability. Among the American manufacturers taking up the charge for safe children’s furniture is Harden, a brand available through The Designers. Much of the children’s furniture created today was never intended to be used as a ladder. But too often, the way a rambunctious child would use furniture is overlooked. Appearance often takes a front seat to safety: if the dresser looks cute or completes the theme, that’s usually the criteria of choice. When shopping look for information on the country of origin, and for a statement about compliance with the ASTM F2057-2014 standard. Beyond price, it’s important to consider the quality the furniture we purchase for our home. I recently bought some recycled plastic furniture from www.kedel.co.uk, it’s amazing quality, looks great and the kids love it! How can we expect a 70 pound chair to hold a 250 pound family member? No wonder some furniture wears out almost immediately after purchase. However, if you are looking for a really good deal on furniture, then why not take a look at using something like furniture in fashion’s voucher code to save you some pennies. When consumers begin to realize furniture is not meant only for staging, but as a functional item in the home, safety will take a larger part in furniture buying choices. And, parents and babysitters trying to control children in their adventurous expeditions, we can rest a little easier. This is a good reason to purchase quality furniture as a legacy and not as a reason for a landfill trip. See more articles on interior design trends here. ← What Color is it Anyway?